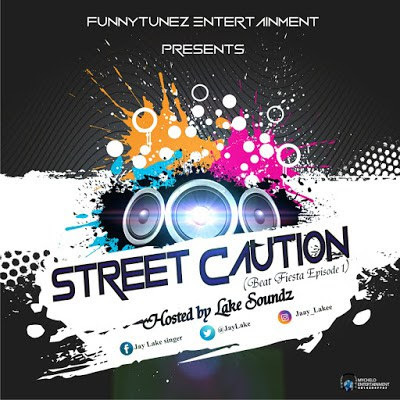 Prolific Producer, Artist and blogger celebrates the season with his artist colleagues by dashing out a 12 freebeat EP titled STREET CAUTION. The guy behind the scenes as he's called, LakeSoundz promised in dropping each of this instrumentals one at a time before the end of this month. The 12 freebeatz EP shall cut across all genre of music. This shall give every artist an opportunity in selecting a tempo suitable to flow on. Stay tuned and enjoy this mid tempo titled Street Caution Episode1 and endeavor to share and commend.